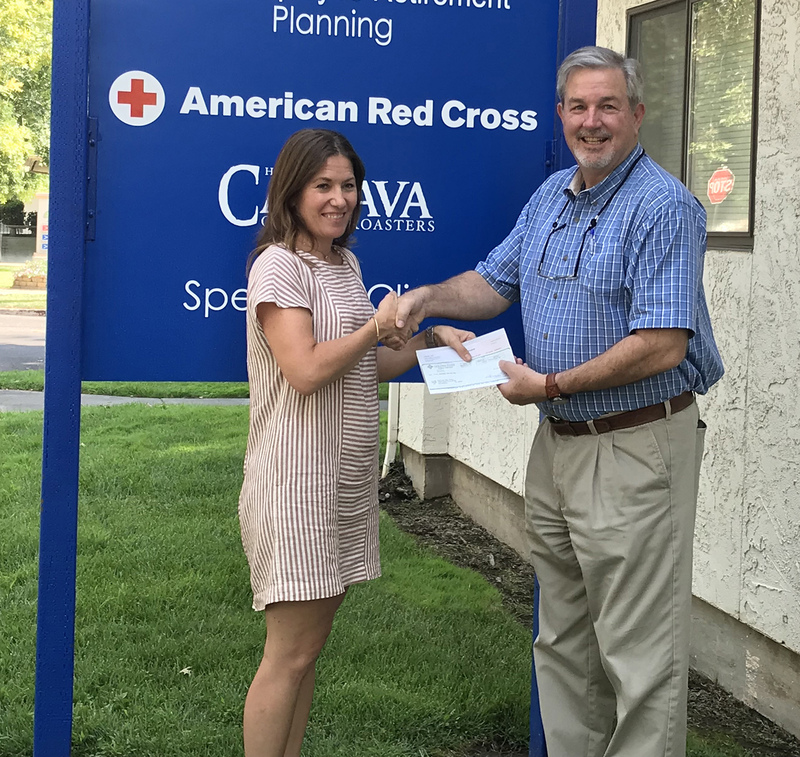 Chico, CA (8-24-18) – Golden State Farm Credit and CoBank, cooperative banks serving vital industries throughout rural America, have donated $10,000 to the American Red Cross to help further their efforts to support the residents, in Shasta and Trinity counties,affected by the Carr Fire. Headquartered in Kingsburg CA, Golden State Farm Credit provides dependable financing solutions for people involved in agriculture throughout Northern and Central California. Golden State Farm Credit assists many local non-profit organizations by providing financial contributions, volunteer support, scholarships, donations, and technical expertise. The Carr fire erupted on July 23, 2018 in Redding, CA. It quickly grew to over 100,000 acres, causing over 38,000 residents to be evacuated. The fast moving fire caused destruction to timber, range land, out buildings, businesses, as well as 1079 residential homes. To this date the fire has burned over 229,651 acres and is 93% contained. “It is so gratifying and humbling to see local businesses come out to support their community during their time of need. 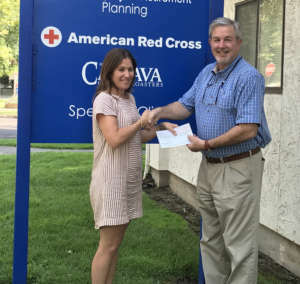 We are so grateful to Golden State Farm Credit, and CoBank, for supporting the American Red Cross disaster relief efforts as we are providing food, shelter, relief supplies, emotional support, recovery planning and other assistance throughout the region,” Amanda Ree, Executive Director Northeastern California Chapter, American Red Cross. CoBank, a cooperative bank serving agribusinesses, rural infrastructure providers and Farm Credit associations throughout the United States has a longstanding commitment in partnering with associations to help support and relief efforts in times of emergencies, like the Carr fire. Golden State Farm Credit is a premier employer and borrower-owned cooperative, dedicated to providing reliable credit and financial services to rural agricultural communities located in Northern and Central California. Golden State Farm Credit is focused on helping agriculturalist reach their goals with mortgage and commercial loans, competitive interest rates, equipment leasing, appraisal services, and a special lending program for Tomorrow’s Farmers. Find out more about Golden State Farm Credit at www.goldenstatefarmcredit.com or call 800.834.8698. CoBank is a member of the Farm Credit System, a nationwide network of banks and retail lending associations chartered to support the borrowing needs of U.S. agriculture, rural infrastructure and rural communities. Headquartered outside Denver, Colorado, CoBank serves customers from regional banking centers across the U.S. and also maintains an international representative office in Singapore. For more information about CoBank, visit the bank’s web site at www.cobank.com.